Whenever we suffer, there are three things we focus on: loss, less and never. And this rings true for many business owners who are struggling and trying to overcome challenges, regardless of what industry they are in. Perhaps you lost your business, or lost market share. Maybe you are earning less revenue because of changes in the market or new policy changes in the industry. Or maybe you are telling yourself that you will never find success, no matter how hard you work and no matter what you do. That’s exactly the state of mind Rajesh, a pharmacy owner of 31 years, was in when he decided to come to Business Mastery. With the advent of the Affordable Care Act, Rajesh’s pharmacy endured substantial reimbursement cuts. He felt wronged and out of control in a business he now viewed as unpredictable. But by breaking through his limiting beliefs and stepping out of his patterns of suffering, Rajesh was able to empower himself to take back control and develop a new strategic approach to growing his business amidst a changing landscape. Rajesh had become obsessed with the idea that he had less of something. And he was letting his fear that he would never regain control take over his life. At Business Mastery, Rajesh acknowledged the fact that injustice is going to happen all of your life, and if you base your happiness on external factors, then you are going to be miserable. He may not be able to control the new structural changes in his industry, but he could make the decision to sell his business, start a new business, or find a strategic way to innovate and repurpose his existing business. The power of choice is one of the greatest gifts. And we all have the ability to choose the path we pursue in business, no matter what happens to the economy, the market, or the industry. If you think that your success depends on those factors doing what you expect or what you want, then you are in for a rude awakening. But if you are constantly evolving and anticipating, finding innovative ways to carve your own path to success, then you will empower yourself not only to survive, but to thrive. When he came to Business Mastery, Rajesh earned 100% of his gross revenue through prescription drugs. He told himself that there was no point in expanding his business to include other amenities because he could not compete with Walmart or other chain stores around. Rajesh also believed that he was limited in options since he was not armed with the skills to pursue any other avenues. 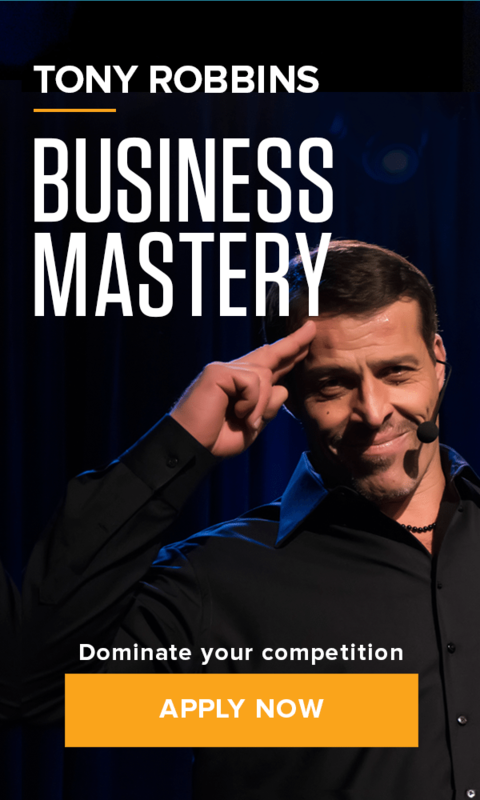 Business Mastery allowed Rajesh to break through his limiting beliefs and empower himself to adopt a new perspective. Rajesh shifted his business approach to consider offering a wider variety of products to his clients. Not only would he be able to provide the same price points as his competitors, he could provide his clients with a level of care and service that they would not get anywhere else, and certainly not at those massive conglomerates or chain stores. His experience and expertise were assets that he leveraged to evolve his business into something greater. At Business Mastery, Rajesh was able to make a profound emotional shift and turn his disempowering state into one of strength and persistence. He was even able to embrace the love and pride his family had for his passion and fervor when it came to enduring the challenges and continuously striving to build his business. Rajesh found freedom from suffering in his career. He saw that his disempowering thoughts may still be there, but he would no longer allow them to control his emotional state. He shifted away from “less” and away from “never” and started looking forward to creating new opportunities for growth and success.